Maybe you've been to California before or live here. Maybe you're a contrarian vacationer who'd rather see things others miss. Or maybe you're looking for a particular place to see or thing to do in California. No matter what your motivation, there are plenty of things to see and do in the Golden State, no matter where you go. We've rounded up 20 of our favorite things to do, from Napa Valley vineyards to star-studded Hollywood. How many of these sites have you checked off your list? Lombard Street, located in San Francisco, which runs from the Embarcadero to Telegraph Hill, is famous for its one-block stretch of road in the Russian Hill neighborhood, between Hyde and Leavenworth Streets. The curvy path features eight hairpin turns, which was designed to lower the hill’s natural 27 percent grade, too steep for most vehicles. The block only runs 600 feet but it can take quite a bit of time to go down each turn, so be patient. You may also have to wait your turn for a ride down—the hill sees around 250 cars per hour. A staple of tourism in The City, the San Francisco Cable Car System is the oldest and last manually operated cable car system still in use. Established in 1873, only three of the original 18 routes remain. With two routes from downtown near Union Square to Fisherman's Wharf, and a third route along California Street. Although still occasionally used by commuters and other locals, the majority of the seven million annual passengers are tourists. Located in Telegraph Hill, this 210-foot tower offers up some of the most classic views of San Francisco. From the top, you can see as far out as the San Francisco Bay and Alcatraz Island. The Art Deco tower was built in 1923, paid for by Lillie Hitchcock Coit to help beautify the city. The interior features 27 fresco murals created mostly by local students from the California School of Fine Arts. Admission to the tower costs $6 per adult unless you’re a local, in which the price drops to $4, as of 2018. The oldest Chinatown neighborhood in North America, San Francisco’s Chinatown is home to one of the largest Chinese populations outside of Asia. Not only is the community one of the most densely populated in the city, but it boasts even more tourist visitors than even the Golden Gate Bridge. Should you be one of these many visitors, you’ll undoubtedly want to check out the various food options in the neighborhood—fantastic walking tours are available. Be sure to explore all of the many alleys in the area, as they’re rich in history and stunning architectural details. Walk or cycle down this historic bridge which connects San Fransico to the rest of northern California to not only get a panoramic view of the city but to explore the vast park spaces on either side of the bridge. The Golden Gate National Recreation Area also offers hiking and water sports along the coast. Located in the highly trafficked Embarcadero on Market Street, the Ferry Building is a food lover’s dream in San Francisco. With everything from Blue Bottle Coffee, Humphry Slocombe and Cowgirl Creamery for quick local bits, the marketplace also offers a full farmers market to stock up on locally grown produce and fruit. At night, dine at the upscale Michelin-recommended restaurant The Slanted Door. This picturesque stretch of highway sits right alongside the Pacific, between Carmel and San Simeon. Big Sur features dramatic, breathtaking views of the coastline and the ocean, along with the stunning architecture of the Bixby Creek and Rocky Creek Bridges. Once known as the "Playground of the Stars," Palm Springs retains much of the charm of the era. Located in the Sonoran Desert in southern California, it is well regarded for its hot springs, trendy hotels, and spas. It's also famed for its many excellent examples of mid-century architecture. Aside from the infamous music festival, nearby Coachella Valley is perfect for mountain biking and hiking. One of the most well-known wine regions in the world—Napa Valley is known across the country for its Cabernet Sauvignon and Chardonnay, though it can be much more than that. While you may not get a table at The French Laundry (though you can still visit their gardens), Napa is home to many more fine dining restaurants like Michelin-starred Restaurant at Meadowood, as well as more casual options like New York transplant Gran Electrica and The Sky & Vine Rooftop Bar, which offers sweeping views of the valley. Home to the world-famous Monterey Aquarium, the small town of Monterey is a perfect seaside town to spend a relaxing weekend in, or even just passing through between Los Angeles and San Fransico. Dine at one of the many seafood restaurants right on the water then stroll along the historic streets at the classic homes in the area. Music lovers will want to see the Monterey Festival Grounds, home to the Monterey Pop Festival where Jimi Hendrix and The Who first dazzled American audiences. The former penitentiary on Alcatraz Island now sees more tourists coming through its halls than inmates. Since becoming a landmark in 1976, the island is a popular tourist destination. Take a cruise to the island an listen to the award-winning audio tour, "Doing Time: The Alcatraz Cellhouse Tour," or visit at night for a slightly different spooky experience. The famed Yosemite National Park is centered on a glacier-carved valley, with soaring granite monoliths, cliffs, and waterfalls surrounding it. The park is located in the Sierra Nevada Mountains and perhaps is best-known as the stomping grounds for famed landscape photographer Ansel Adams. Whether it's your first visit or your 20th, it's one of America's most beautiful national parks. Aside from being one of the most charming small towns in the state, Carmel-by-the-Sea is also a starting point for 17-Mile Drive, a scenic route that includes expansive mansions and golf courses, as well as attractions like the Lone Cypress and Bird Rock. California's Redwood National Park, Del Norte Coast, Jedediah Smith, and Prairie Creek Redwoods State Park make up this area of almost 140,000 acres of parkland, of which contain 45 percent of the remaining California Redwood trees. These trees can live up to 1,800 years and stand nearly 400 feet tall and 30 feet in diameter. Spend an afternoon strolling down Hollywood Boulevard tracking down your favorite celebrity’s star on the Hollywood Walk of Fame. At Grauman's Chinese Theatre, located at Hollywood and Highland, many actors from Hollywood's Golden Age have literally cemented their legacy in the sidewalks out front. 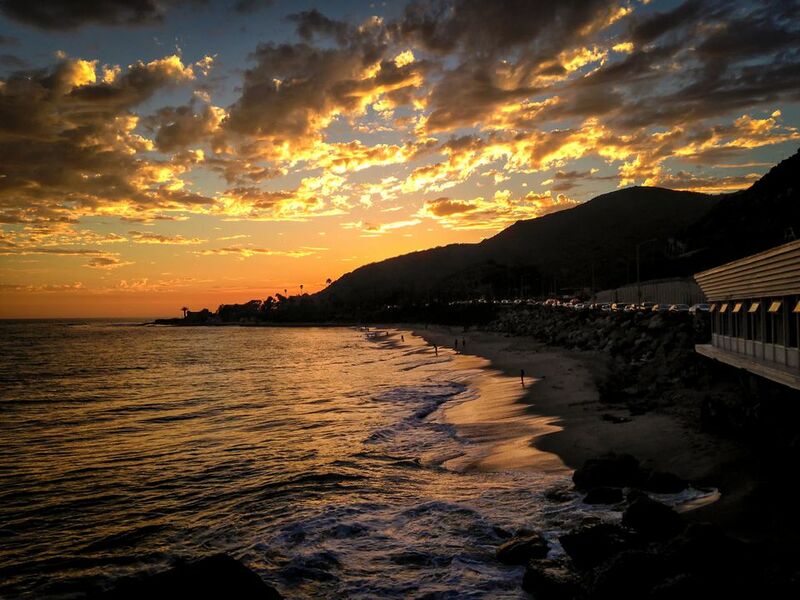 One of California's oldest and most beautiful towns, a visit to Santa Barbara is a must. Known for its white stucco and red-tiled roofs, the town was a Hollywood hotspot in the early 1900s, when it was the set for more than 1,200 movies. Not surprisingly, it became a hotspot for Mary Pickford, Charlie Chaplin, and others. Today, you can shop, dine, or just enjoy strolling around its idyllic streets. It's located about two hours north of Los Angeles. The original Disney resort, Anaheim's Disneyland first opened its doors in 1955. The park's undergone numerous expansions and upgrades since those days and remains one of the most visited theme parks in the world, second only behind its sibling, Magic Kingdom. The California park is smaller than Disneyworld, its Florida counterpoint, which makes it much easier to get around. All of the major studios in Hollywood— from Warner Bros. to Paramount to Universal—all offer guided studio tours featuring prominent movies and tv shows. The Universal Studios backlot tour is one of the most well-known. It comprises 13 city blocks by tram, which brings you up close and personal with many classic film moments, like Jaws and King Kong. This little pocket of Orange County is home to Huntington Beach, also known as Surf City USA. Each year, Huntington Beach hosts the US Open of Surfing. It's also home to the International Surfing Museum. Don't want to hit the waves? Spend your time hanging out on the long Huntington Beach Pier, a great place to catch the sunset. Experience the outdoor lifestyle at Lake Tahoe by setting up a campsite right by the lake, then jump right into kayaking, swimming, hiking, and jet skiing. If you’re not looking to go as rustic as tent camping, there are multiple campsites with RV hookups. But if that’s still not enough, there are plenty of high-end hotels in the Lake Tahoe area, complete with nightlife.